Happy Monday all! I hope you had a fantastic weekend! This morning we woke to a torrential downpour, which I assume is the effects of a tropical storm, and I'm kind of loving it. There is nothing better than cuddling for "five more minutes" after you hit that snooze button... three times. My coffee even tastes better today. If you follow me on Instagram, you got a sneak peak at our DIY headboard that we finished and put in our bedroom this past weekend. Hallelujah! Every time I hit a milestone during that process (building, padding, upholstering, and then applying the nailheads), I had this feeling in my gut like I just screwed it up somehow. In the end, it came out even better than I had expected. I'm so excited to share some of the progress we've made in the bedroom redo as well as all of the deets on how we made the headboard so stay tuned! This weekend I tried something new. It wasn't on my Fall bucket list, but I'm totally adding it so I can have the satisfaction of crossing it off. It was so fun and such a unique experience! I like to think I'm pretty crafty, but painting has never been included in my artistic skill set. 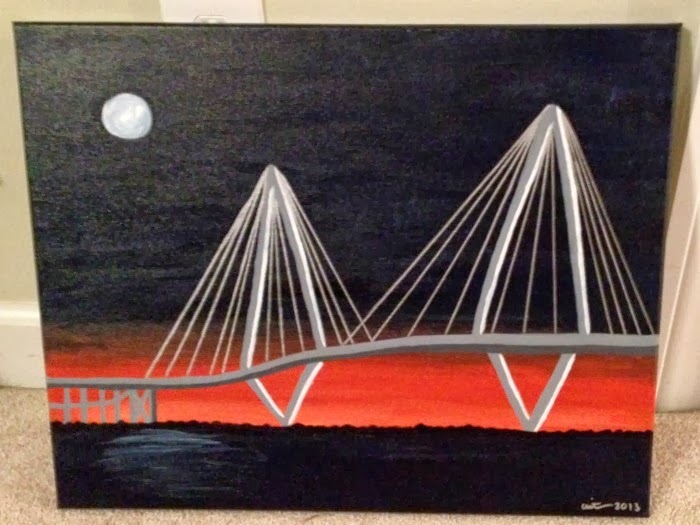 Thankfully the instructor went through the process, step by step, and helped us recreate her painting of the Arthur Ravenel Bridge. This studio has a couples painting night too... I can only imagine what Steve would say if I tried to get him to do this with me! 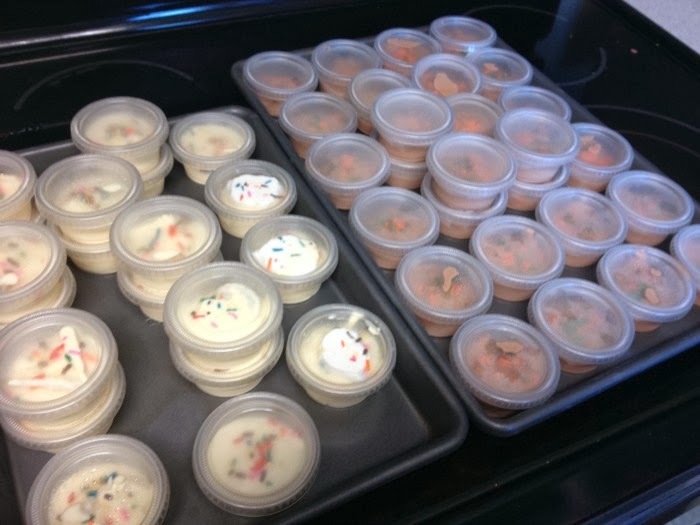 In honor of my friend's birthday, I decided to whip up two batches of pudding shots and brought them in a totally non-classy cooler to the painting party. And in case some of you were wondering why I'm always talking about booze or cooking with it, I promise I'm not a total lush! 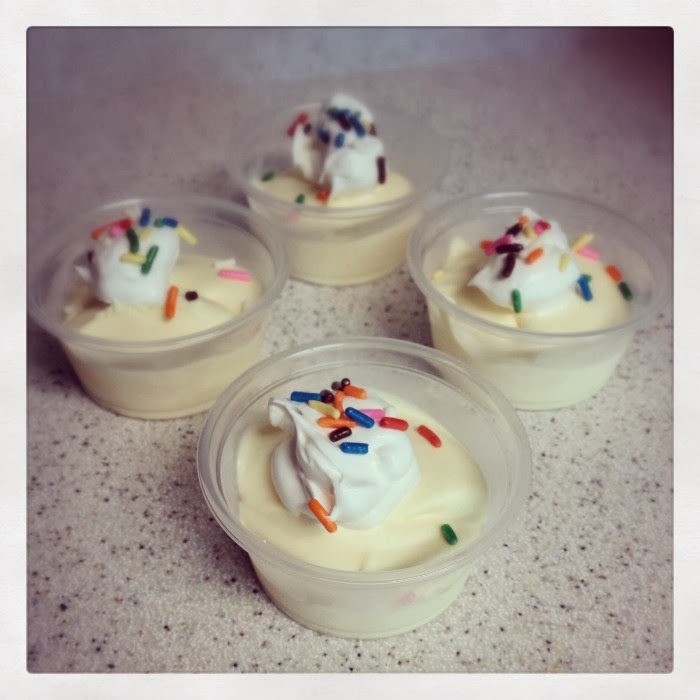 If you haven't had pudding shots before or tried to make them, they are a huge hit for very little effort. A friend of mine makes these and comes up with the best liquor and pudding flavor combinations, so I recommend googling it if you want to check them out. For our purposes, I made chocolate pudding with vodka and Baileys and vanilla pudding with both Cake and Whipped-flavored vodka. YUM! 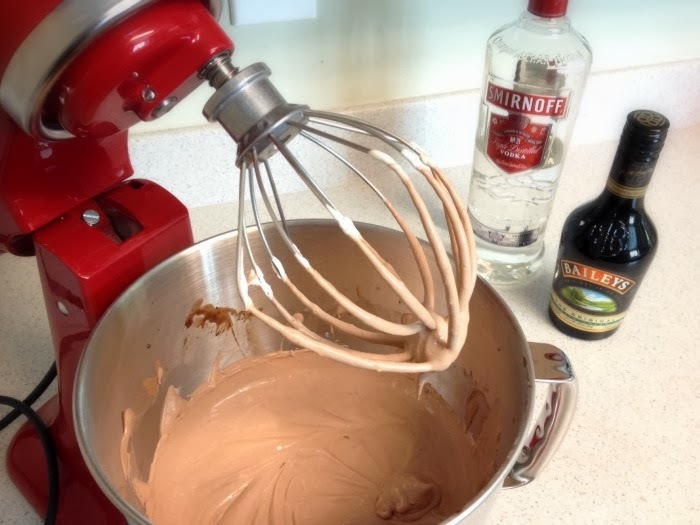 First, whisk together your milk and pudding mix. Once that is mixed well, add your liquors. It will look a bit watery for pudding, don't worry. Add your Cool Whip, a little at a time, to the pudding mixture and whisk until all Cool Whip is completely mixed in. I put it in my stand mixer on setting #4 for about 2 minutes. Spoon pudding into souffle cups and freeze until ready to serve. I added some sprinkles and a little bit of Cool Whip to make them pretty, until I ran out of Cool Whip. Boo! For the Vanilla Cake pudding shots, I added 1/2 cup of Cake Vodka with 1/4 cup of Whipped Vodka. For the Chocolate Baileys pudding shots, I added 1/2 cup of Vokda with 1/4 cup of Baileys. Another combination I'd love to try... put some graham cracker on the bottom, then mix up some pumpkin spice pudding mix and either spiced rum or whipped vodka, then top with Cool Whip. Hells yes. Turns out, pumpkin spice pudding is hard to find so good luck! That's it! Depending on how much you fill the souffle cups, you can end up with a lot of pudding shots. These would be perfect for a bachelorette party and you don't to be as careful with them liquifying like you do jello shots! Just keep them on ice or in the fridge if you can! Well, there is my boozy Monday post! 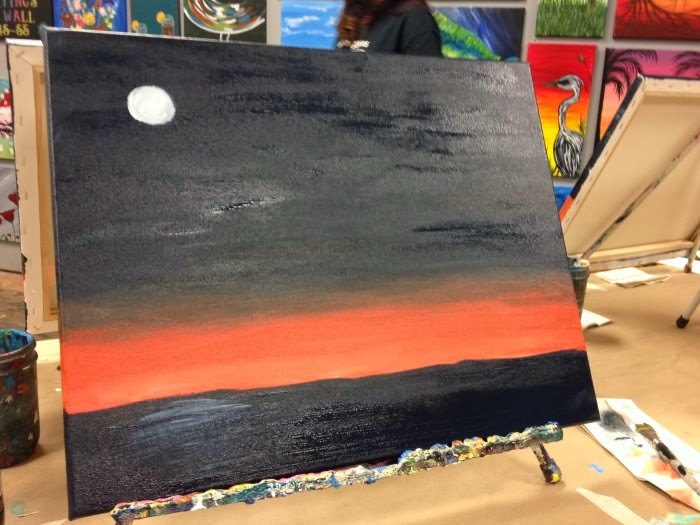 Has anyone had pudding shots or done a wine and painting night? Ahh I'm off today and tomorrow aka the two days with the most rain this week and I am loving it. :) I totally missed the picture of the finished headboard on Instagram but I just went back and looked at it - it looks amazing!! Great job! Hard Pumpkin Apple Cider and pudding shots?! Sounds like a great weekend!! I will have to try those pudding shots out some time. Can't wait to see the finished headboard! I have been wanting to do a painting class but I keep forgetting about it! Those pudding shots look delicious. Do they do the job as well as Jell-O shots? Your painting looks great! Those pudding shots look delicious! So much better than normal Jell-O shots! How have I never had a pudding shot?! These look delicious!! I didn't know about them until last year, but they are definitely a hit! I loveee the cake and vanilla flavor combo! i am sure the pudding shots are delicious...but they also happen to be so cute looking too!!! love! Pudding shots?!?! OMG yum!!! They are also so so cute! Wow these look like trouble! So yummy! These look soo yummy! Im going to make them for a party tomorrow night. Would you suggest making them tonight and leaving them in the freezer or making them in the morning?